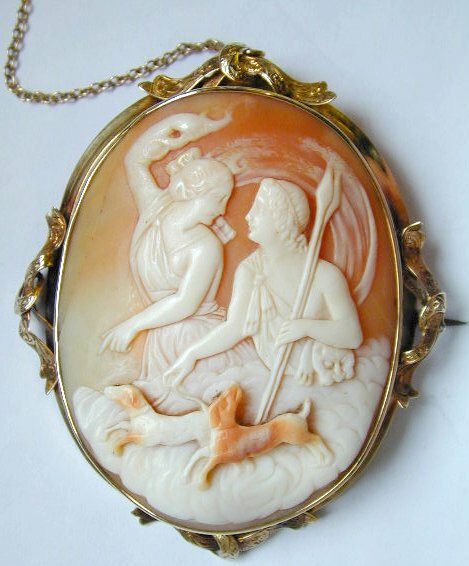 Antique Victorian Large Gold Cameo, depicting "Diana" The Huntress. Size 70mm by 60mm. Lovely condition, with a beautiful ornate frame. 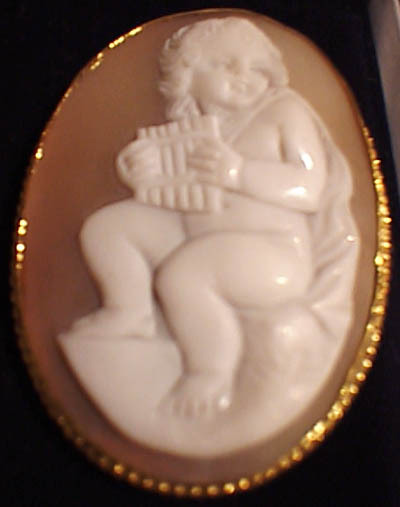 Super quality antique cameo brooch depicting a small child with panpipes, beautifully carved and set in a silver gilt mount. 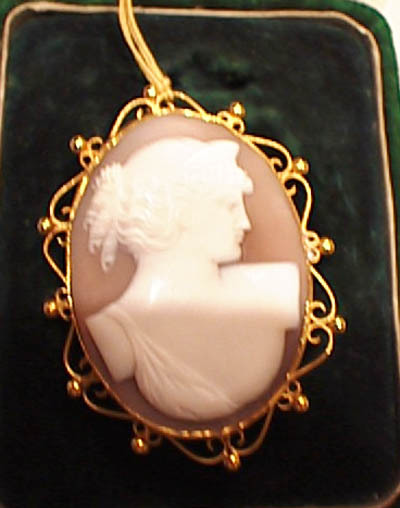 Ladies antique, Victorian high quality carved cameo depicting a classical portrait of a lady. Set in a gilded ball and scroll effect frame. 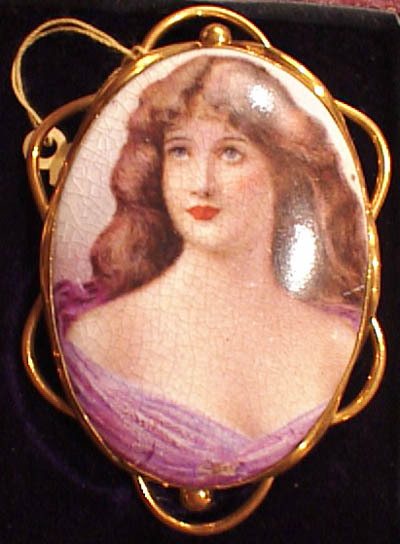 Large Victorian porcelain miniature of a beautiful young lady, in a fluted design gilt metal frame, circa 1890.